Many people incorrectly install tank fill control valves, or fail to consider several key factors when installing the valves. Float control valves are excellent resources that, when installed correctly, allow for the automated control of water levels in commercial and domestic tanks. A float control valve is typically fitted with a float mechanism that is designed to monitor and regulate the top water level in a tank, to ensure there is always a constant level of fluid in reserve. Without a tank fill control valve, water levels need to be monitored with alternative methods that can be costly and time consuming. 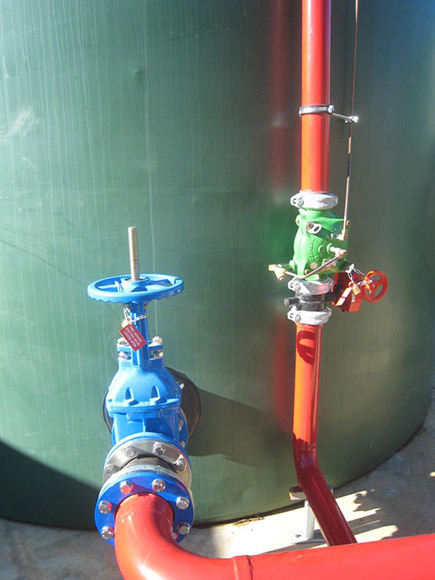 Tank fill control valves are commonly applied across a range of applications including water supply in commercial agriculture, irrigation systems, and fire control. Although they are used frequently, tank fill control valves are often not installed for optimum performance. Correct commissioning and installation is the best way to ensure that tank fill valves provide accurate readings and functionality. 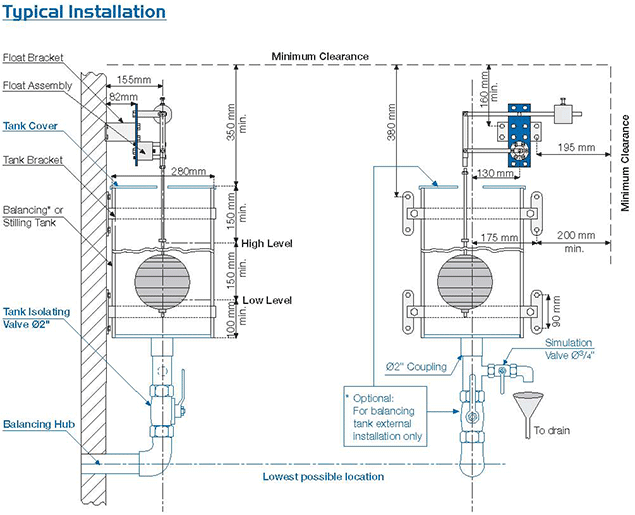 The diagram shows a typical installation of a tank fill control valve. Take note of these simple techniques for best-practice installation. Standard tank fill control valves are designed to be installed horizontally. Valves can be installed vertically, as shown in the image below. However, given that standard valves are intended for horizontal application, it is critical to indicate whether a valve will be installed vertically when placing an order. This way, Bermad product engineers can configure the bonnet to ensure that air is released at the top of the valve. Independently supporting the valve will help to ensure that the pipeline isn’t over-stressed. 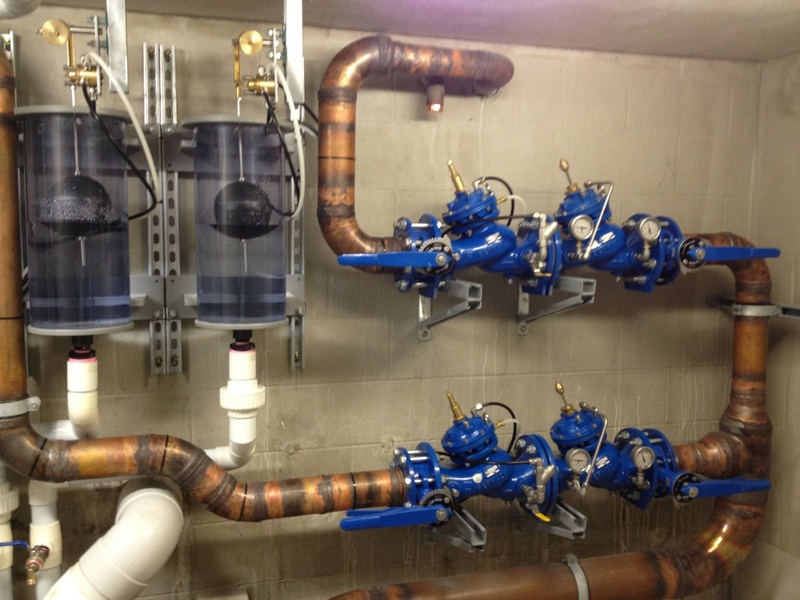 In order to isolate the tank fill control valve, isolation valves should be fitted both before and after. This will ensure that the necessary valve intervals are maintained. If your tank fill control valve is being installed externally in a frost-prone area, make sure the valve body is fully covered to avoid ice forming inside. Scope out the position of the installation early on in the process, to ensure that operators have easy access to the valve for maintenance of the body and associated components. Ensure the weight of the valve is independently supported, so that no unnecessary stress is placed upon the pipeline. If the valve is fitted to a critical supply line, install a duty stand-by arrangement to enable on line maintenance. Vertically installed tank fill valves. If the tank valve has a remote float to activate the opening or closing of the valve, consider the following suggestions. If the valve is a single level float valve, such as a 450-60 or a 750-60 valve, the pilot line needs to be a minimum of 3/8” tube or larger assuming usual inlet pressures of 400Kpa or larger. This will ensure that it does not incur head loss as water flows to the top float. If the inlet pressures are overly low, avoid head losses by ensuring that tubing is oversized to be at least 12mm or larger. When mounting the float mechanism in the tank, ensure that it is located away from in-flow water, and the associated turbulence that it creates. Preventing the float from bouncing will ensure accurate and optimum performance. If in doubt, try fitting an internal or external stilling well with a small connection to the tank wall. When running tube from the valve to the float, make sure that the tubes are housed in a conduit, or lagged, to avoid frost or any other form of external pipe damage. For more technical instructions for valve installation, additional information on the FP 450 Level Control Valve, the WW750-60 – Level Control Valve, or any other associated Bermad product, please visit www.bermad.com.au, or contact your nearest sales officer for further advice on best-practice installation. 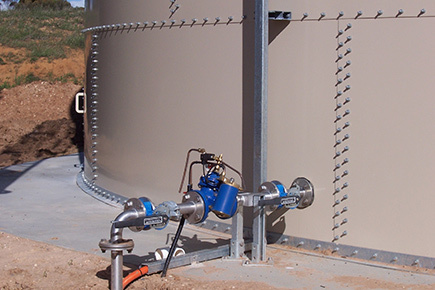 If you’d like information on maintaining and operating a tank fill valve, read our article on this process.